Last year one of BioGaia’s founders, Peter Rothschild, started an association to support the hospital which this year’s Nobel peace prize winner, Dr Denis Mukwege, runs. 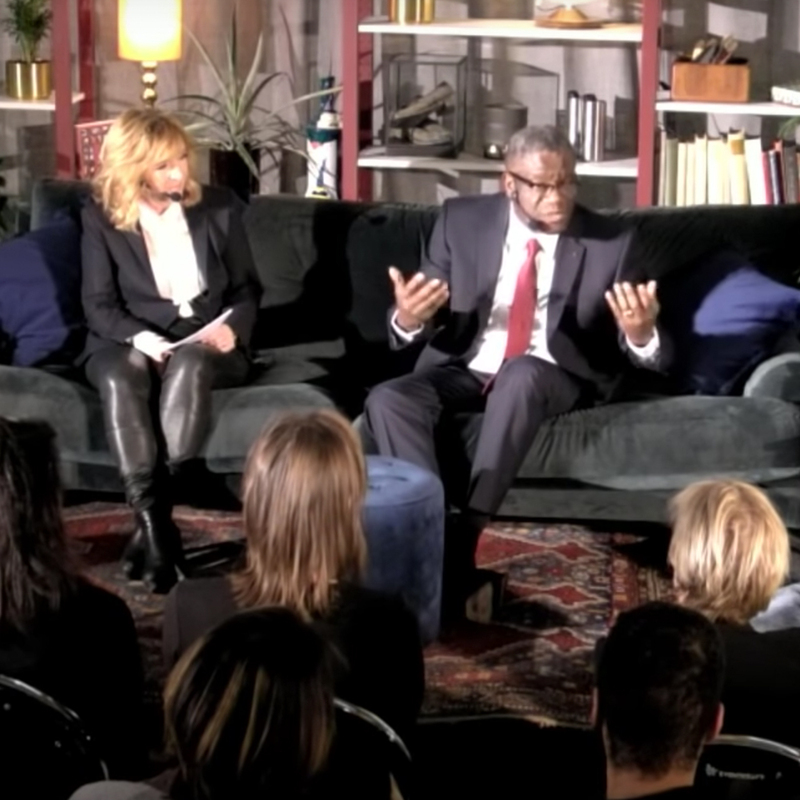 Last week the association arranged an event in Stockholm where Dr Mukwege talked about his work and the situation in Kongo. Dr Denis Mukwege is the surgeon, gynecologist and women’s right activist who founded the Panzi Hospital in Bukavu in Kongo. Since 1999 he and his staff have helped to care for more than 50,000 survivors of sexual violence. One year ago, Peter Rothschild was informed that the Swedish government and other EU governments had markedly reduced their contributions to the Panzi Hospital. He therefore initiated the start of an association, called “Friends of the Panzi hospital” (friendsofpanzi.se​) to fill the gap, with the ambition to collect SEK 3.5 million per year. “Dr Mukwege is definitely a worthy Nobel peace prize winner. He has received death threats and was closed to being killed but has nevertheless continued his work in the hospital and during the years saved the lives of thousands of women. It was a great honor to welcome Dr Mukwege at our event and very interesting to listen to his fascinating but horrible story about the situation for many women in Kongo”, says Peter Rothschild. Link to the interview with Dr Denis Mukwege.